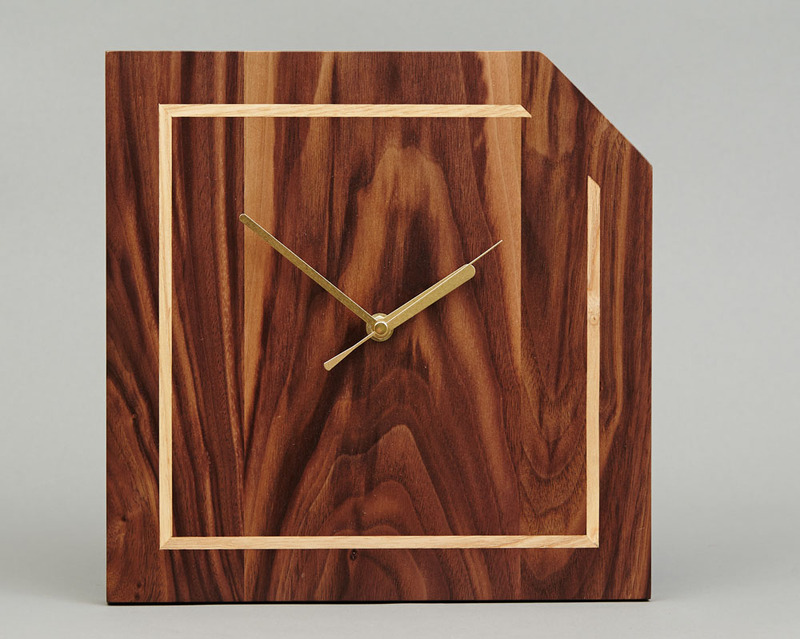 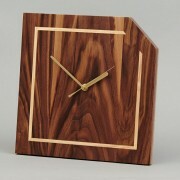 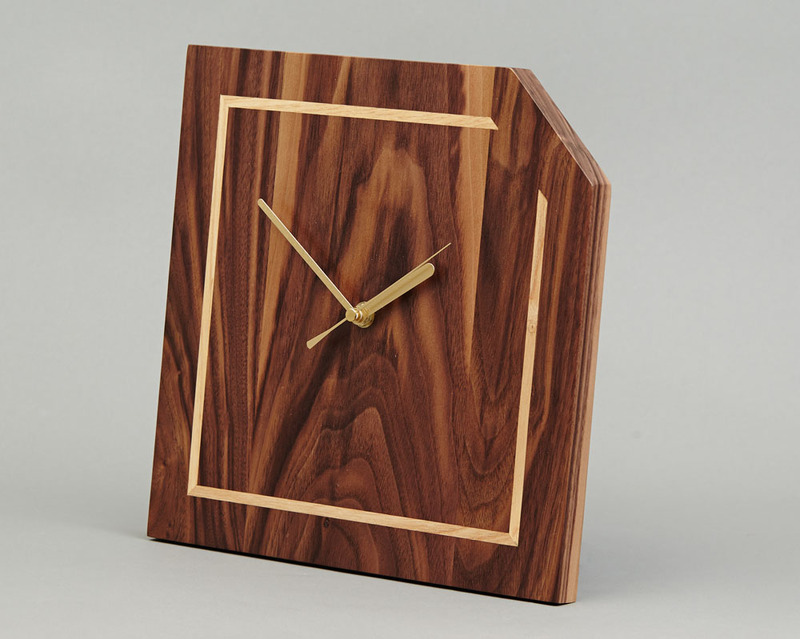 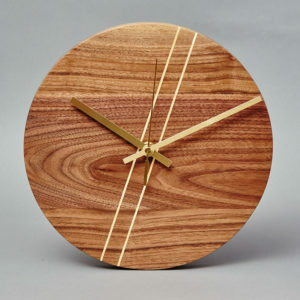 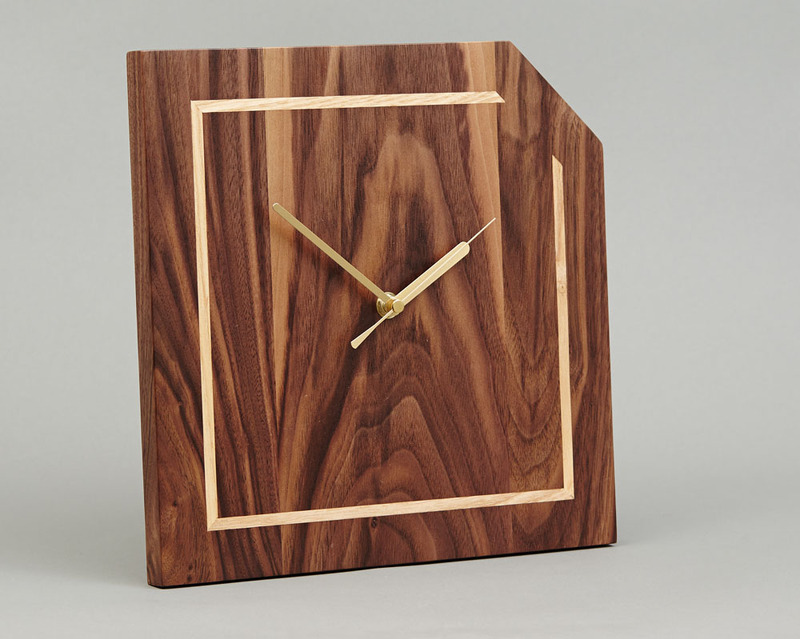 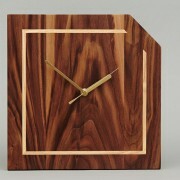 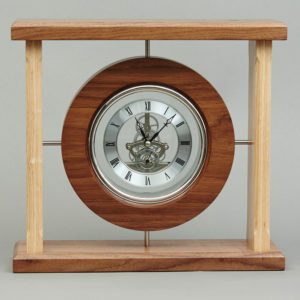 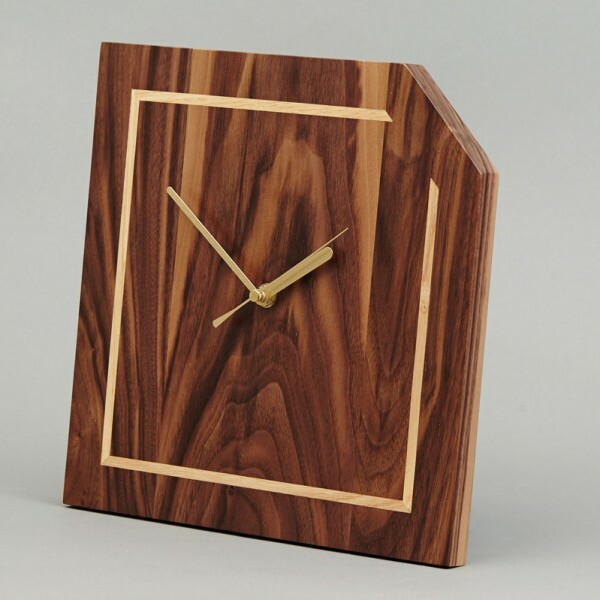 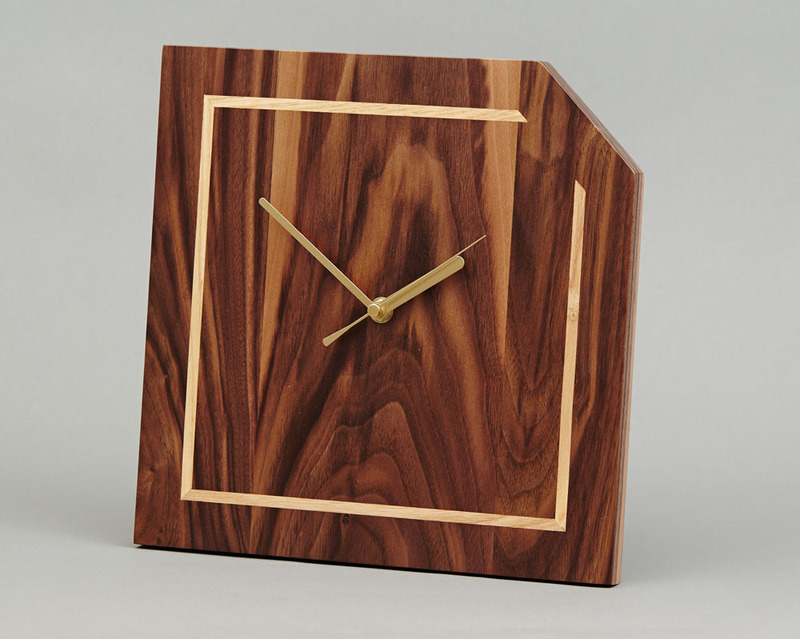 Handcrafted Wooden Walnut Wall Clock with Ash Inlay. 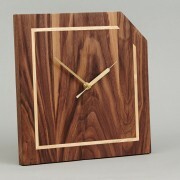 Irish Handcrafted Wooden Giftware by Beveledge. 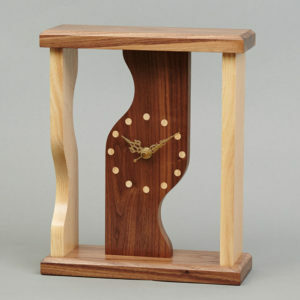 Ideal gifts for Weddings, Birthdays, Anniversaries and Special Occasions. 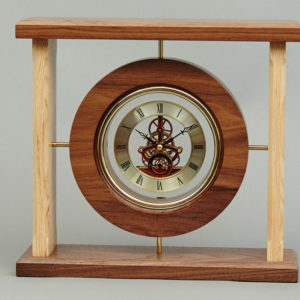 Please note that there will be slight variations from the photos illustrated as the wood will vary from one piece to another.